The safety, reliability and service life of a system are only as good as its transfer lines and connections. Tube fittings and adapters are critical components in tubing and hose connections, valves, hydraulic systems, pumps and cylinders. The right connection of the fitting and tube or hose provides outstanding leak free service life, even at high temperatures, pressures, corrosive environments and steady vibration cycles. 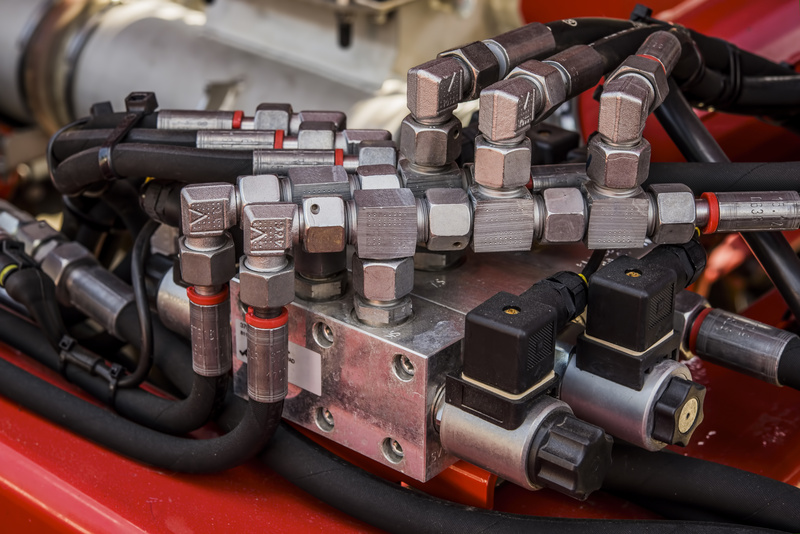 Simply put, fitting connections hold and seal system components under pressure via hoses, tubes, pipes, manifolds or other port connections. Size: Start with establishing the OD (outside diameter) and wall thickness of the tube based on required temperature, pressure, flow rate and other ambient conditions. In most applications flare fittings have a maximum tube wall thickness limitation, while flareless bite type fittings have minimum wall limitation. Select tube OD and wall thickness based on the system requirements and fitting specifications. Application: The application is what drives the entire selection of components. There is a big difference between delivering the flow of hazardous chemical pressurized steam versus hydraulic fluid or fuel. Even the delivery of fuel can vary from diesel to gasoline to CNG or LNG (compressed or liquid natural gas). Highly corrosive applications require stainless steel and sometimes other exotic alloys, such as Monel or Hastelloy. Even brass is sometimes a good choice in certain corrosive applications and steel fittings typically incorporate a corrosion resistant protective coating, but cannot deliver the corrosion resistance and measurably higher pressure rating of stainless steel and other exotic alloys. The many variables of system environment obviously influence fitting selection. Also consider the severity of the application, whether operating requirements are dynamic or static and the potential consequences of failure if selecting the wrong fitting. Media: The fluid or gas media to be transferred must be considered when selecting fitting and seal materials. It is important to identify the Chemical Compatibility of the fitting and tube selection material. Cole-Parmer®, a leader in laboratory and industrial fluid handling equipment provides an excellent Chemical Compatibility Database. Pressure: The pressure rating of a fitting must be equal to or exceed the required system pressure. The design of the connection must be established as a ratio of the required pressure and the rated strength of the fitting. To ensure safety and reliability in fluctuations of operating conditions, tube fittings are rated with a 4 to 1 design factor under normal operating circumstances. This helps protect the system from most hydraulic and mechanical shock. The pressure capability in fitting selection depends on many factors, including tube wall thickness and tube or hose pressure rating, fitting type (i.e. flare vs. flareless), material, media and torque. The relationship between the pressure in-line and fitting torque is important. If a fitting is not torqued properly the system pressure can blow the connection. Be sure to refer to the manufacturer’s pressure rating guidelines when selecting fitting type. This blog is an excerpt from our latest whitepaper, The What, Where & Why of Tube Fittings & Adapters. Click here or below to get your copy!